Dog crates are a must for any self-respecting pet owner. 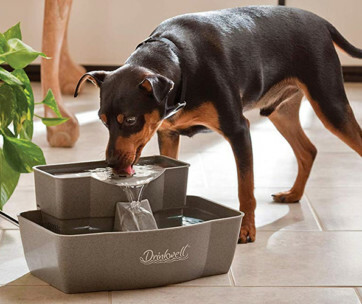 These are items that can be a safe haven for dogs in certain situations. It can keep them safe, calm, and relaxed. Crates are also excellent means of transporting pets to the vet clinic or anywhere else. One can also redesign the best dog crates for other purposes. For instance, you can put a divider in the crate to allow for a separate space for a puppy’s rest and toileting needs. A crate divider is also beneficial when raising a puppy. Once it grows into an adult, you can remove the divider. 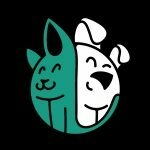 If you’re wondering how you can make a create divider to house two of your dogs in a single kennel, here’s how. In general, you should always get a dog crate that has the size that can accommodate your pet when it reaches its adult size. For instance, if you have a Labrador Retriever puppy, then the size of your dog crate should be that of a full-grown Lab. Keep in mind that some crates already come with their accompanying divider. Examples of these are metal crates. There are also those pet crates made of hard plastic. These often come in two half-shell design. You can remove the top half of the kennel to provide better access for the puppies. Size matters when it comes to a dog’s living quarters. Its space should be enough to allow the dog to stand up, move about, and lay down. 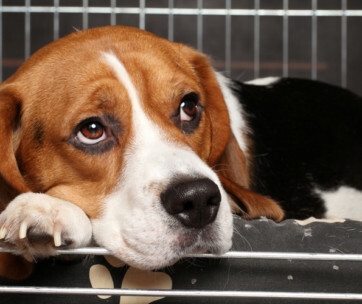 You don’t want your pet to feel cramped inside its crate. Otherwise, you’ll have more problems such as behavioral issues to contend with. Always measure your dog and compare its dimensions to that of the divided space. Measure your dog’s height from the surface of the floor to the top of its shoulders or withers. To this measurement, add 3 inches. Hence, if your measurement is 18 inches, add 3 inches to this to make it 21 inches. 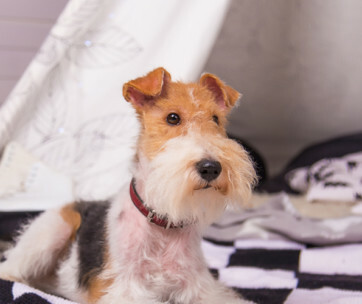 Next, measure your dog’s length from the tip of its nose all the way to the base of its tail. This is where the tail meets the dog’s backbone. Add to this measurement 3 inches as allowance. If you measured 24 inches, for example, you’re going to add 3 inches to make the overall length to 27 inches. For this dog, you will need a space that is about 21 inches high and 27 inches long. Now, compare this with the dimensions of your subdivided dog crate. If you’re on a tight budget, you can start off with a cardboard dog crate divider. The good thing with this material is that it is very easy to work with and quite inexpensive, too. It’s ideal for crate-training puppies. It is not sturdy, though. However, if your puppy decides to chew on its divider, you can always replace it with another cardboard. If you have a budget to spare, getting a piece of plywood is better. It is sturdier and tougher than cardboard. Of course, the issue here is that you may have to ask your lumber store to provide you with the size that you need. Or, if you have some extra pieces of plywood at home, you can cut this yourself, too. Keep in mind that plywood is not a chew-proof material. Hence, if you’ve got an aggressive chewer in the house, then this is not a great material to start with. 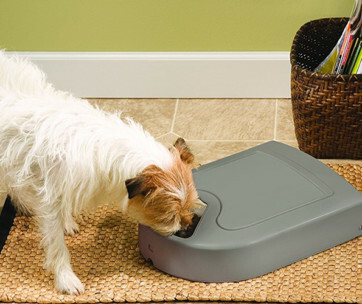 For heavy chewers, Plexiglas offers better strength and durability. The only issue with this is that it is more expensive than plywood. On the plus side, your dog crate divider will look more stunning. 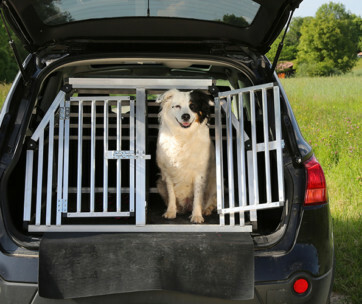 Once you’ve chosen the material to make as a crate divider, it’s time to get the inside measurements of your dog crate. Here’s the thing. Do you want it crosswise or lengthwise? Are you going to divide the crate into a front space and a back space or is it left room and right room? Take the width or length and height measurements of the crate. Take the width if you’re going to divide it crosswise; length if lengthwise. Subtract about half an inch from these measurements. For instance, if you got 24 inches for the height and 28 inches for the width, then your divider measurements should be 23.5 inches by 27.5 inches. The half-inch allowance should help facilitate easier installation or mounting of the divider inside the dog crate. 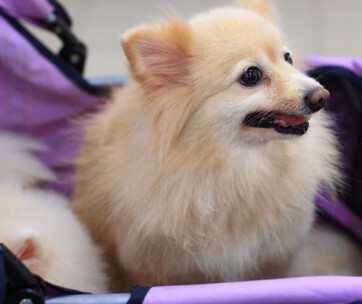 Half an inch is small enough to prevent any part of your puppy or dog’s body from getting stuck in the space. Cut the divider using an appropriate tool. A utility knife or pair of scissors is often enough to cut cardboard. As for plywood, you can use an ordinary hack saw or a box cutter for more precise cuts. For Plexiglas, you can have the shop cut it for you. Reinforce the edges of the cardboard with duct tape. This will help prevent fraying and tearing. If you’re using plywood, it’s best to sand the edges with high-grit sandpaper. You don’t want any splinters or wood burrs coming from these edges. Don’t forget to punch holes along the upper edge of the divider. Punch a couple of holes, too, on the side. These will serve as anchor points for the divider. Now that you’ve cut the divider, it’s time to install it inside the dog crate. Open the door of the crate or the top panel, whichever is the case. Place the divider and secure it by inserting a zip tie through the holes. Tie it around one of the grates in the crate. Make sure that it is not wobbly. Snip off any excess zip tie. An alternative will be to position the ties so that the ends will be outside the dog crate. Making a dog crate divider is easy. Just measure your dog and compare this with your existing crate. Choose and cut your material before installing it in the crate. It’s that simple.